Do you know your vehicle value? Have a look at our car price guide or ask for an evaluation of your vehicle by an expert on the 606 4112 | 606 4513. Find a potential buyer by posting an ad on mycar.mu for FREE. 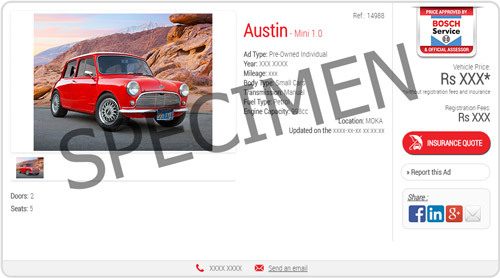 Did you know you have more chances of selling your car if you put some pictures? Choose a vehicle you like and within your budget. You can try our tool: ‘See what can I buy with my budget’ to help you find vehicles matching your budget or repayment capacity on the mycar.mu listing. Ask for a quote with an insurance company and choose the plan matching your needs. Ask for a lease if needed. Before buying a vehicle, always check the actual condition of the vehicle, if it’s still under warranty and what is covered. The previous owner should provide you with the registration book, 2 originals of the deed of sale and a “Certificat de Gage” obtained from the NTA. The deed of sale should be registered at the Registrar General’s Department within 15 days of the sale transaction. a valid insurance certificate on your name. The vehicle will be transferred to your name after you have paid the specified fee. Vehicles older than 7 years (except autocycles), must undergo examination to be certified fit for the road. You need to get a fitness certificate from the seller (if still valid) or by doing a fitness test. Licence attached to the vehicle, if any. Removal permit or TP if vehicle is unlicensed. Once your vehicle has been examined and found fit to be on the road, you will be issued with a test certificate or certificate of fitness as the case may be for the vehicle. Now that you have the registration book of the vehicle, a valid insurance certificate and a fitness certificate (if applicable), you can pay the motor vehicle licence for your vehicle at the NTA. District Cash Offices in Rose Hill, Mapou, Curepipe, Centre de Flacq, Mahebourg, Souillac, Bambous, Pamplemousses and Moka. The registration book of the vehicle. A test certificate (fitness) if the vehicle is a private car or motorcycle above 7 years. If you’re buying a new vehicle, you can reserve a personalized number from the running series registration mark (you will only be able to choose the first four numbers, the month and year of registration will stay the same). Please call at the NTA with your NIC, fill in the reservation form and pay the reservation fee of Rs 2,000. You can have a personalised plate allocated to your vehicle from an old registration mark (i.e. a registration mark issued prior to 10 April 1992). Step 1: Find a registration number available. Personalized registration number must consist of one to four numbers; one or two letters except I, O, Q (reserved) followed by 4 numbers. Step 2: Log on to www.govmu.org and go to “Application for NTA Specific Registration Mark”. Step 3: Follow the instructions, note down the tracking number and submit your application. If you do not received an e-mail, you should call the NTA within 5 days. Call at the NTA with your NIC, fill in the transfer and pay the fee of Rs 3,000 provided that you, as registered owner, have previously paid the fees for the allocation of the old registration mark. In case the registration mark is for a vehicle in your possession, you will have to bring along your registration book for varying the registration mark. Price Approved By Bosch Car Service and Official Car Valuator is a chargeable option that allows you to show this TAG on your advert. You can choose this option when creating or editing your ad on www.mycar.mu.